Born on 30 May 1960, Stephen "Tin Tin" Duffy is most well-known for the singles Kiss Me and Icing On The Cake. He was a founding member and vocalist/bassist of Duran Duran. While attending Birmingham Polytechnic (now Birmingham City University), Stephen Duffy met John Taylor and together they formed Duran Duran with Taylor's childhood friend, Nick Rhodes. John Taylor was the guitarist (later becoming the bassist) and Rhodes played the synths. Duffy was the vocalist/lyricist and bassist. Sadly (for Stephen Duffy), he left both the school and the band in 1979, before Duran Duran signed with EMI in 1980. However, he went on to form Obviously Five Believers - also known as The Hawks - and he made his first four-track recordings. Their only single, "Words of Hope," was released in 1981. 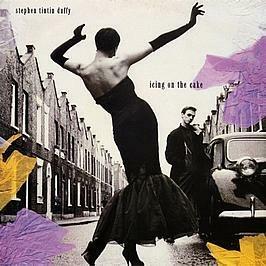 Stephen Duffy created the band Tin Tin in 1982, which included Andy "Stoker" Growcott of Dexys Midnight Runners, and Bob Lamb, who was the original producer of Birmingham band UB40). Tin Tin released the song "Kiss Me," (with WEA Records in the UK) which only reached no. 155 in the UK charts. By 1983, Tin Tin had signed with Sire Records in the US, and "Kiss Me" hit the dance charts there as well. In 1983, another single, "Hold It," was also released and reached No.55 in the UK Charts. After a spell working in the US, Duffy returned to England and started work on his first full album, The Ups and Downs, under the name Stephen "Tin Tin" Duffy, and this reached No.35 in the UK. 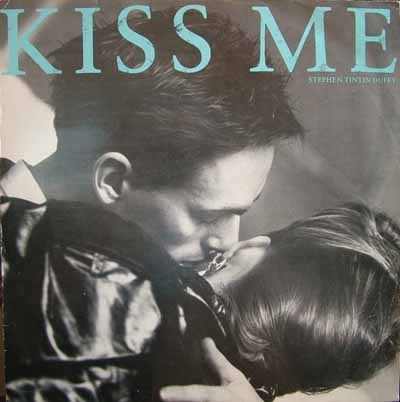 A re-recorded "Kiss Me" single was released in 1984, this time only in the West Midlands area, followed by a nationwide release of "She Makes Me Quiver". In late 1984, Duffy recorded yet another version of "Kiss Me" with Froome and Jeczalik. Released in February 1985, it debuted at no. 22 and peaked at no. 4, selling 250,000 copies in three weeks and staying in the UK Top 10 for five weeks altogether. The final single released from The Ups and Downs album was "Icing on the Cake", which peaked at no. 14 in June 1985. Stephen Duffy decided to drop the "Tin Tin" reference (apparently for legal reasons) to become Stephen A.J. Duffy, but from then on his musical career wasn't as commercially successful. A new single was released "Unkiss That Kiss", was released in September 1985 and only managed to peak at no. 77 in the UK charts. The single was taken from the album Because We Love You, released in early 1986, for which he was credited simply as Stephen Duffy. Additional singles from the album were "I Love You" (which peaked at no. 86) and "Something Special" (the latter a collaboration with Sandii (of Sandii & the Sunsetz). Sadly, this single (and the album itself) failed to chart.